Controversial presenter Jeremy Clarkson will return to the BBC on April 24th, when he will host an episode of satirical news show Have I Got News For You. This will mark Clarkson’s first appearance on the BBC since losing his job as Top Gear host, for abusing producer Oisin Tymon. “Jeremy’s contract has not been renewed on Top Gear, but he isn’t banned from appearing on the BBC,” said a BBC spokesperson. Clarkson has already hosted Have I Got News For You on 11 occasions, and also appeared on the show as a guest on Paul Merton’s team. Here he is in action, hosting a previous Webisode version of the show. P.S. 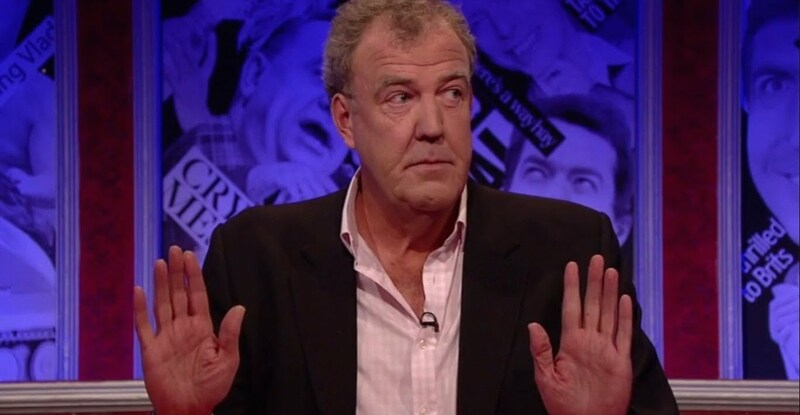 Sorry to everyone we offended with our April Fools’ joke about Piers Morgan replacing Jeremy on Top Gear!